The Run menu is a useful tool for administrators to access commands and applications quickly and efficiently. However, most casual users of Windows 7 don’t often use the tool in their every day computing. Removing the Run menu is an efficient way to discourage users from accessing areas of Windows 7 they shouldn’t or trying to troubleshoot computer errors on their own. 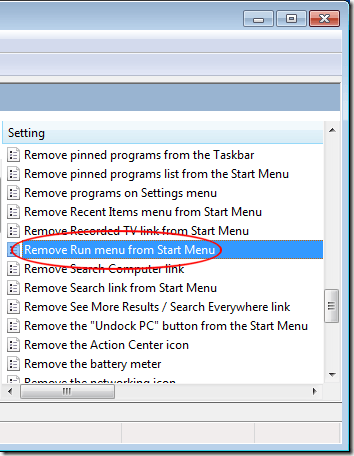 Learn how to remove the Run menu from the Start menu for all users of Windows 7. Why Remove the Run Menu from the Start Menu? The Run menu is a tool that allows access to applications and tools. 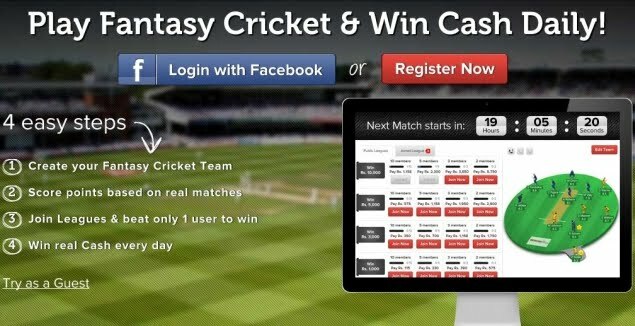 It is a method of accessing these tools without having to use the Start menu. In fact, some standard applications and tools and some custom tools are not accessible through the Start menu so the Run menu is essential to administrators. In addition, the Run menu is far quicker, allowing administrators to get more done in less time. Removing the Run menu from the Start menu is a way to discourage users from Windows 7 from accessing tools they really shouldn’t have access to. The Internet is full of advice (both good and bad) for fixing many Windows problems. Removing the Run menu is one way to stop users from taking on their own problems when it is best left to an administrator. The method for removing the Run menu described here does three things. 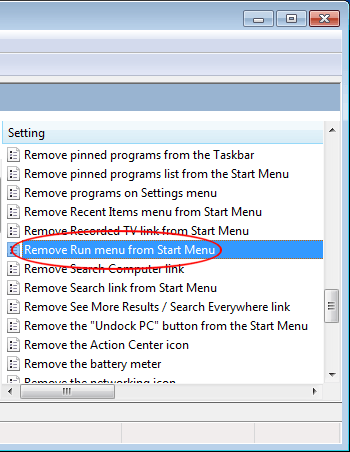 First, it does, of course, remove the Run menu from the Start menu. Second, it removes the New Task (Run) command from Task Manager. Finally, users are blocked from using Internet Explorer to type in a UNC path (e.g. \\<server>\<share>), accessing local drives, and accessing local folders. In addition, users will no longer be able to access the Run dialogue box by using the Windows key plus R key keyboard combination. In a strange twist of fate, we will be using the Run menu to disable the Run menu. Once done, you will have to access the Local Group Policy Editor manually to undo this change. Begin by logging in to Windows 7 using an account that has administrative privileges. Click on Start>Run and type gpedit.msc into the Run dialogue box. Click the OK button to open the Local Group Policy Editor. 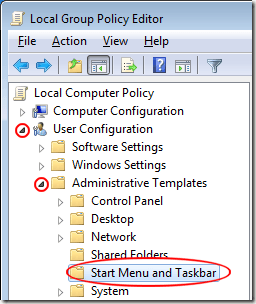 In the left hand pane, locate the policies located at User Configuration>Administrative Templates>Start Menu and Taskbar. 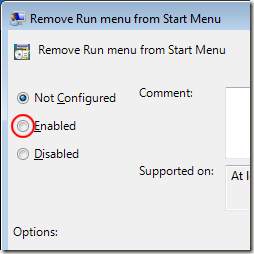 In the right hand pane, locate the policy labeled Remove Run Menu from Start Menu. Double click on it to open this policy’s options. If no other administrator ever changed this option, it should be set to the default Not Configured option. Check the option labeled Enabled, click the OK button, and close the Local Group Policy Editor. Now all users of Windows 7 will not have the Run menu available on the Start menu. 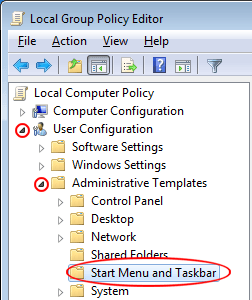 Removing the Run menu from the Start menu is accomplished by editing a local group policy in Window 7. Once enabled, the policy denies access to the Run command. Most notably, the command is no longer on the Start menu and users cannot access the Run dialogue box using the Windows key plus R key keyboard combination.